(Reuters) - Tesla Inc warned on Wednesday it will need to begin building cars in China and lower the price of its Model 3 sedan to make money in every 2019 quarter, as it failed to meet Wall Street profit expectations at the end of 2018. The company also announced that its chief financial officer, Deepak Ahuja, would retire, extending a slide in shares after hours to 4 percent. Wednesday's results offered a mix bag for investors as the company both expressed optimism that it could post a profit in the first quarter despite fewer deliveries of its flagship S and X vehicles, while warning of challenges such as logistics and global deliveries of its new Model 3. Tesla is beginning to ship its Model 3 to Europe and Asia from California. To cut costs and transit times, Tesla plans to build a factory in China. It hopes to produce 500,000 vehicles a year there by the last quarter of 2019 and the second quarter of 2020, a goal it originally expected to meet in 2018. Roth Capital Partners analyst Craig Irwin called Tesla's results "somewhat weak, but largely as expected," and expressed disappointment that the company did not announce it would soon begin building a $35,000 version of its Model 3. In a surprise announcement at the end of a conference call with analysts, Musk said CFO Ahuja would be replaced by Zach Kirkhorn, who has been at Tesla for nine years. Investors have been wondering whether Tesla will seek more capital, which many analysts believe will be necessary to fund ongoing projects, such as upcoming production in 2020 of the Model Y SUV, the building of factories in China and Europe, and the expansion of Tesla's existing Nevada battery plant, the Gigafactory. 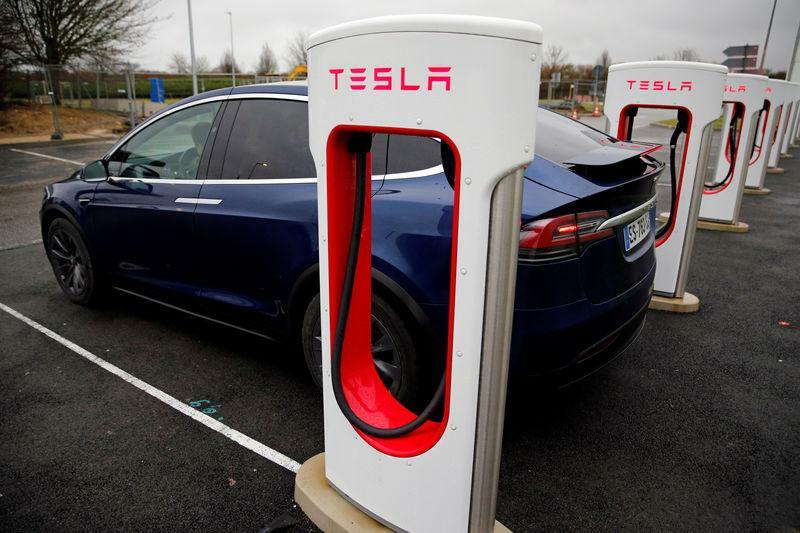 The winding down of a federal subsidy this year will make all Tesla cars more expensive and could hurt sales. Some analysts have also expressed concerns that sales of the Model S and X - which carry higher margins - may slow due to the erosion of the tax credit. Tesla said it expected lower S and X deliveries in the first quarter, given a "pull-forward in demand" in 2018 for those vehicles in 2018 when the subsidy was still available in full. Tesla recognises revenue once a vehicle is delivered.